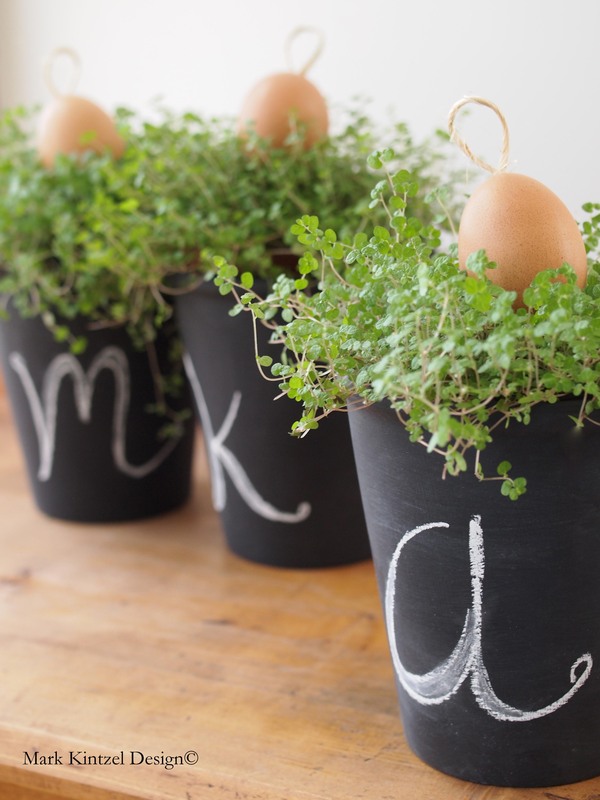 Many of my unusual items have found a second life as gardening containers. 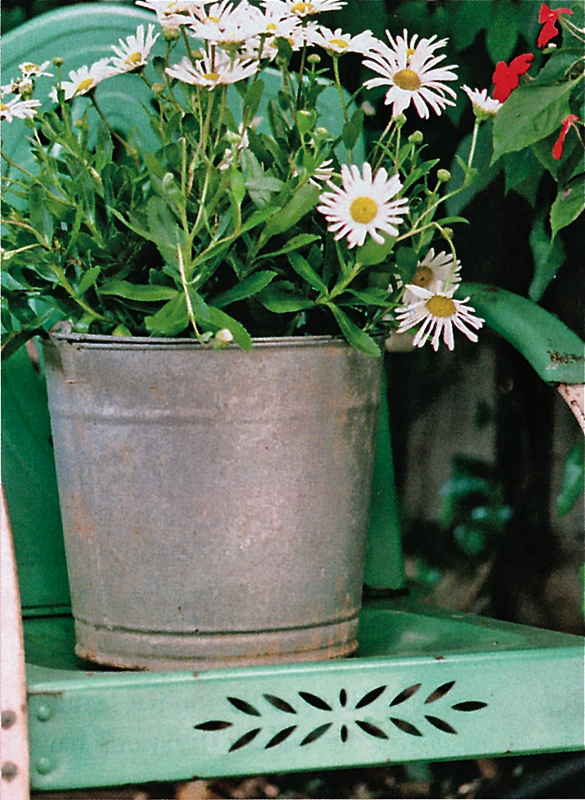 For example, this simple galvanized water pail filled with daisies. 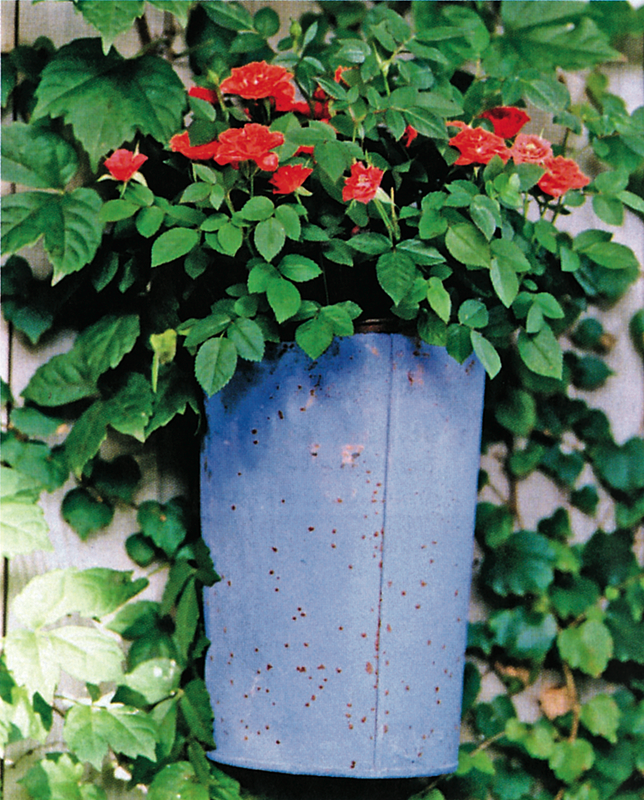 The hanger on this rusty and crusty old sap-gathering bucket came in handy for attaching it to my garden fence, before a miniature rose was added. 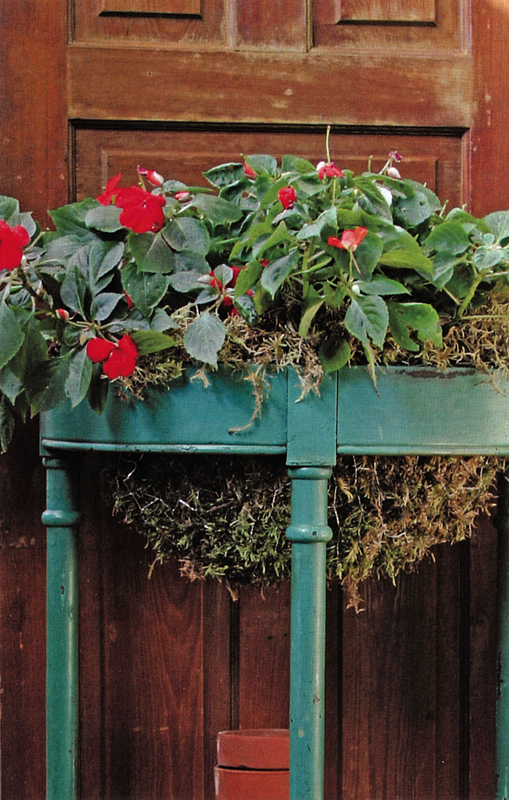 Because Impatiens love growing in wire baskets, I removed the disintegrated table top on this side table, made a chicken wire bowl to fit within the opening, lined it with moss and added potting soil and the plants. Voila! 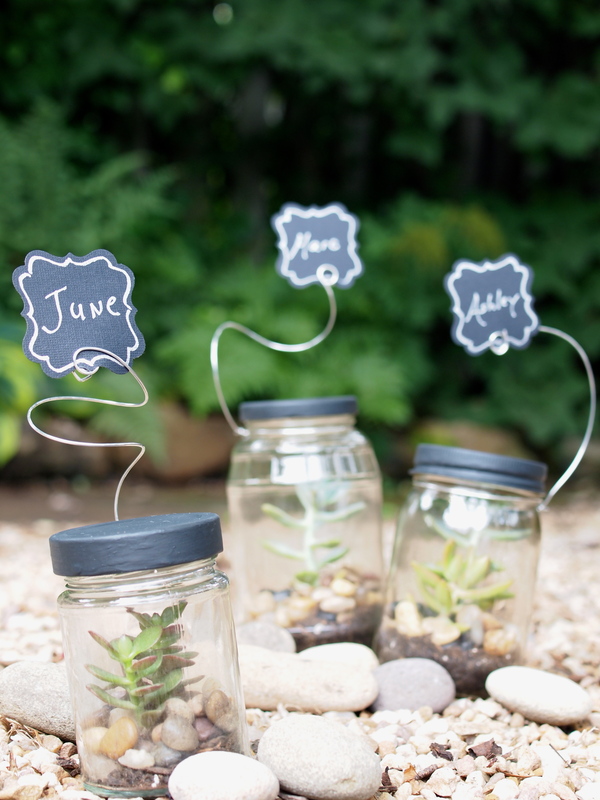 A portable garden! This was my dad’s lunch box. 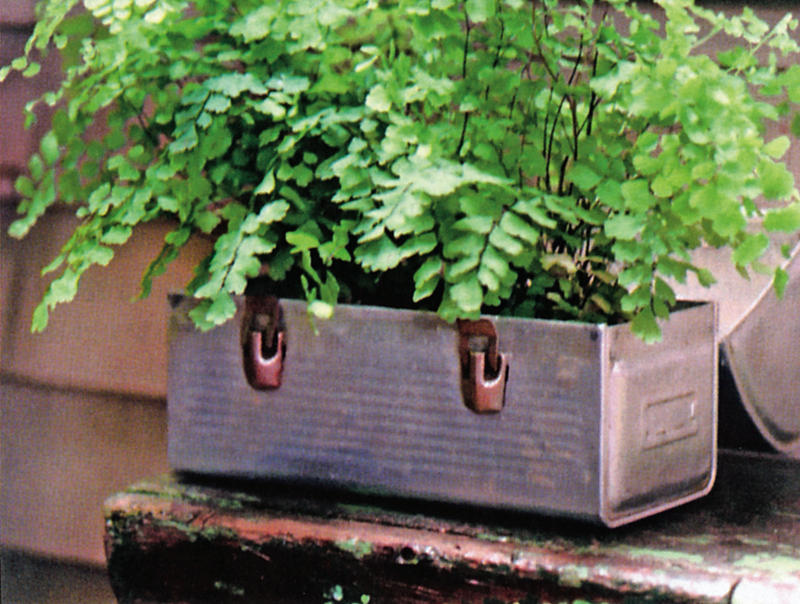 Sorry dad…not a fan of sandwiches so I planted maidenhair ferns in it. 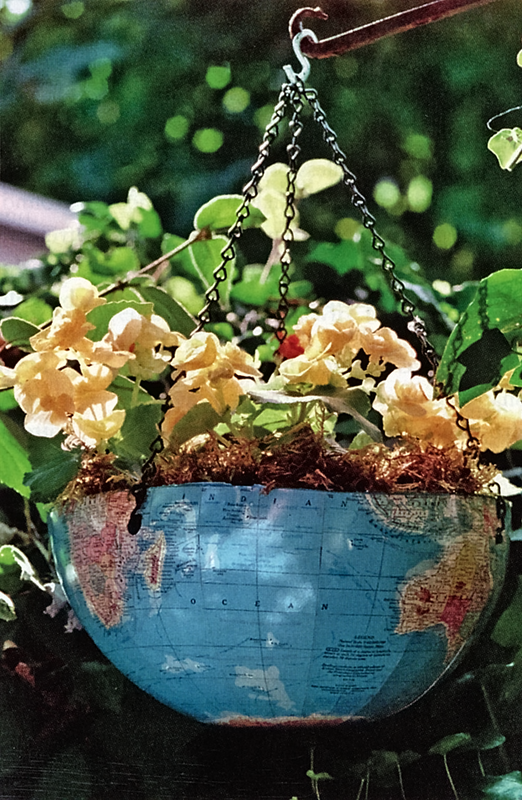 And lastly, my garden-in-a-globe hanging planter. Here’s how you can make your own. With a knife, carefully cut the globe in half. 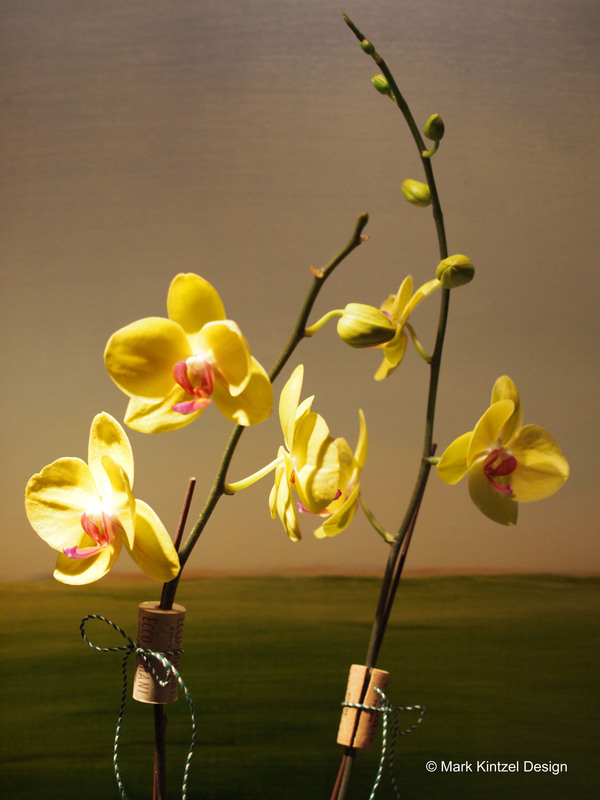 Drill or poke three equidistant holes around the top edge for hanging and one hole in the bottom for drainage. Coat the inside and outside of the globe with a clear weather-resistant finish – Mod Podge Outdoor Glue is fantastic. Reinforce the hanging holes with rivets. Use S-hooks to fasten equal lengths of chain to the holes. Attach the other ends of the chains to another S-hook to serve as a hanger. 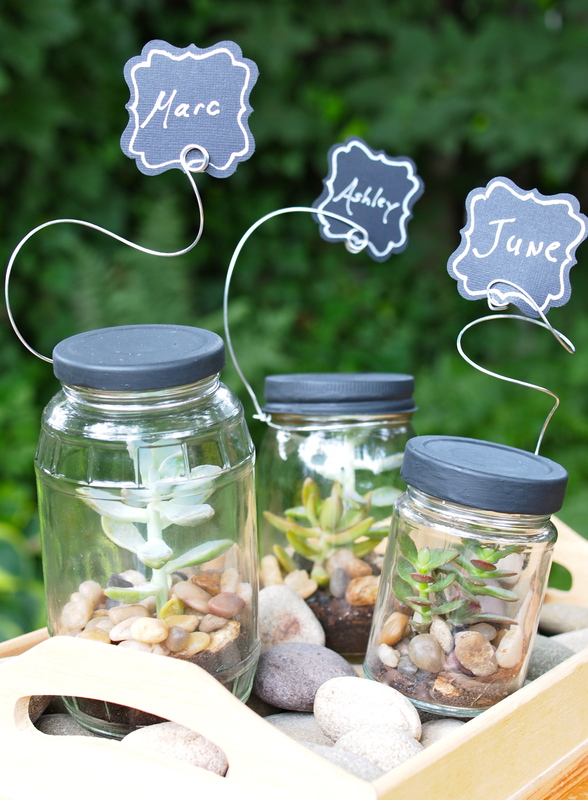 Place a few light pebbles in the bottom for drainage then add potting soil and plant of your choosing. 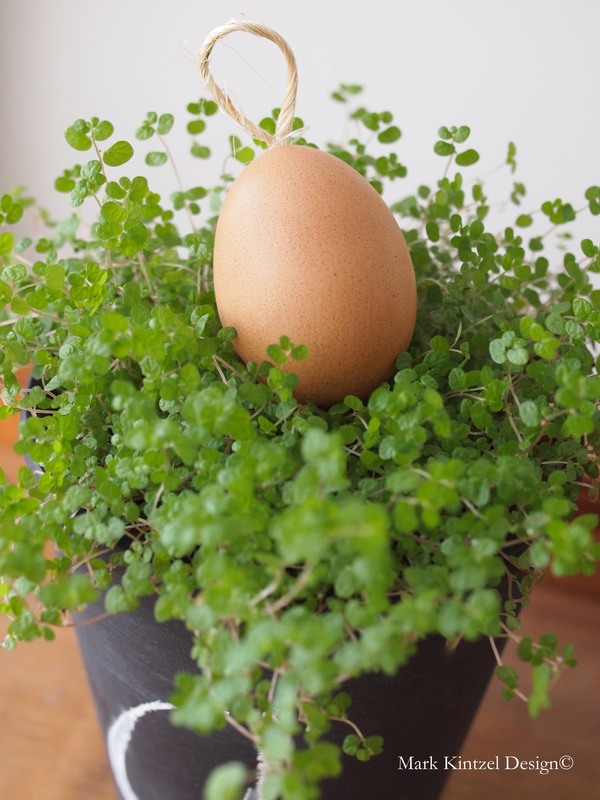 So crank up your imagination and start planting your own unique mini-gardens!